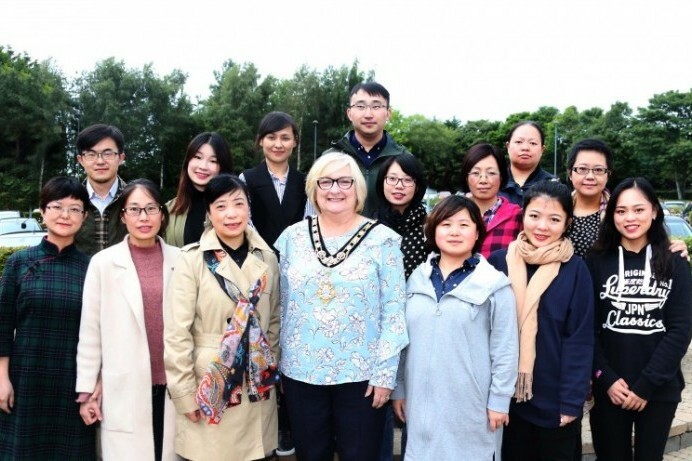 A special reception has been held in Cloonavin for a group of Chinese teachers. They were welcomed to the occasion by the Mayor of Causeway Coast and Glens Borough Council, Councillor Brenda Chivers. The group teach English as a foreign language in a provincial grammar school in Guiyang, China. They are currently taking part in a two week professional development programme at Ulster University in Coleraine. 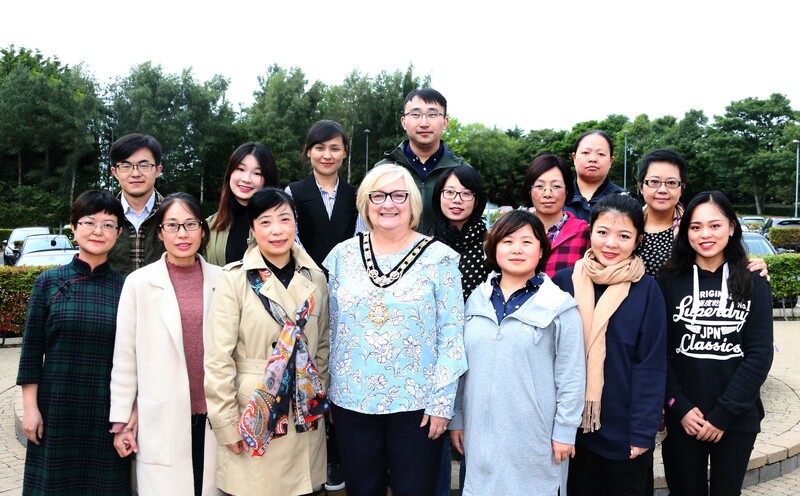 The Mayor of Causeway Coast and Glens Borough Council Councillor Brenda Chivers pictured with the group of Chinese teachers at a reception in Cloonavin.